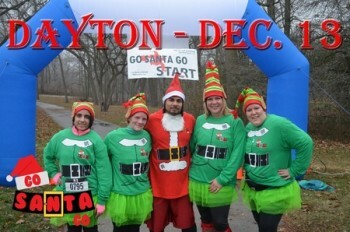 We want to invite you to join in the holiday fun at the GoSantaGo5k in Dayton on Sunday, December 13th at 11 AM. 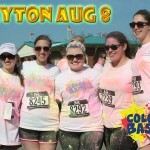 The GoSantaGo5k will be supporting the Maple Tree Cancer Alliance. Every participant will receive their choice of a Santa shirt, hat and beard or an Elf shirt and hat to wear while running. Enjoy holiday music, candy, and cookies along the 5k course. Participating in our event is a great way to get into the ‘Holiday Spirit’ as we serve Maple Tree Cancer Alliance and remind everyone that you can still be active and healthy even during the holiday / chilly season. Our solid research program studies the effects of regular exercise and proper nutrition on cancer treatment to ensure the very best palliative care. Rooted in His strength. A blog to keep you informed about what Maple Tree is doing to help you stay healthy, both physically and spiritually. Maple Tree Cancer Alliance is a non-profit 501(c)(3) organization dedicated to improving the quality of life for individuals afflicted with cancer by focusing on their physical and spiritual health.